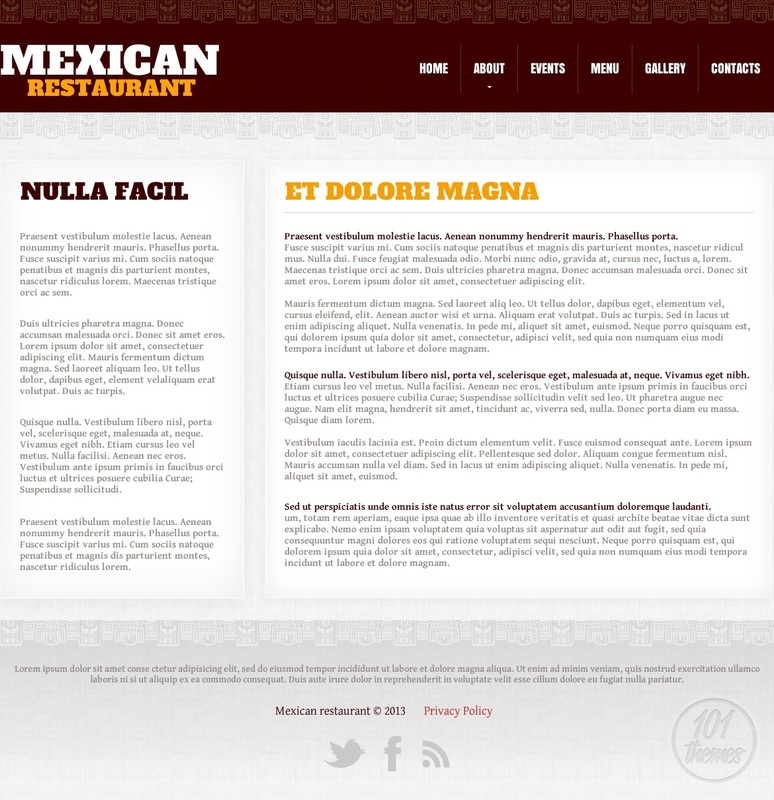 If you are looking for a HTML Mexican restaurant template, Template Monster features one that is perfect for you. It is called Mexican Restaurant and it was developed by Mercury. 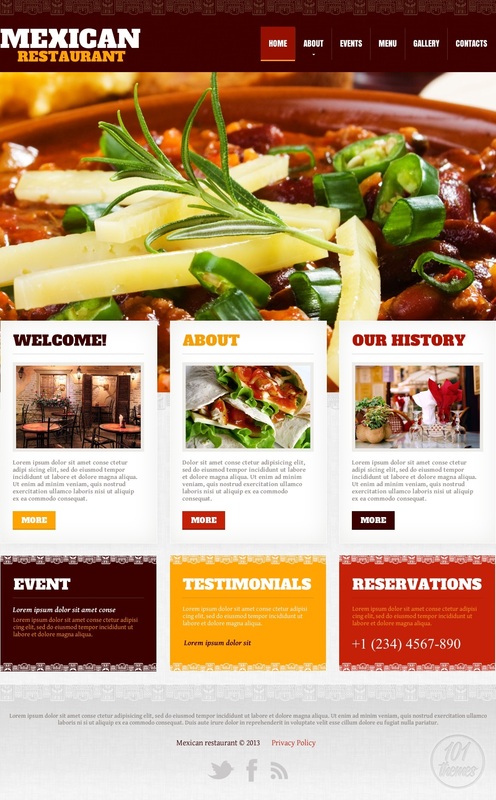 This restaurant website template is super easy for customization and editing thanks to the great content management system integration. Each element can be edited and setup to match your own needs and ideas. The homepage looks very colorful and lively with nice colors and patterns added to fit the Mexican temperament perfectly. Bright background with brown, red and yellow elements along with cool patterns make this template very appealing and fun to browse through. At the very top of the homepage there is a slider featured and it is a full width one. This is a perfect place for you to post the best quality photos of your delicacies and have your visitors drool over them the minute they enter your website. You can feature various posts under this slider and present your business properly. 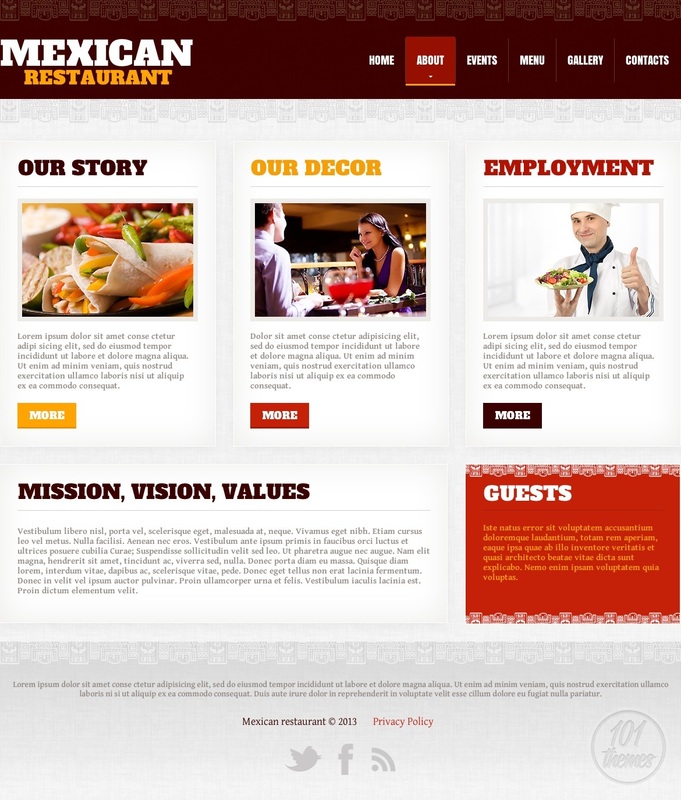 This is where you can feature a nice welcoming note you’ve prepared for your visitors, let them have an insight in the history of your restaurant and tell them all about your services so they know what they can expect when they come visit your place. You can also feature your newest events here, display nice words of praise coming from your existing customers, and also display reservation info. 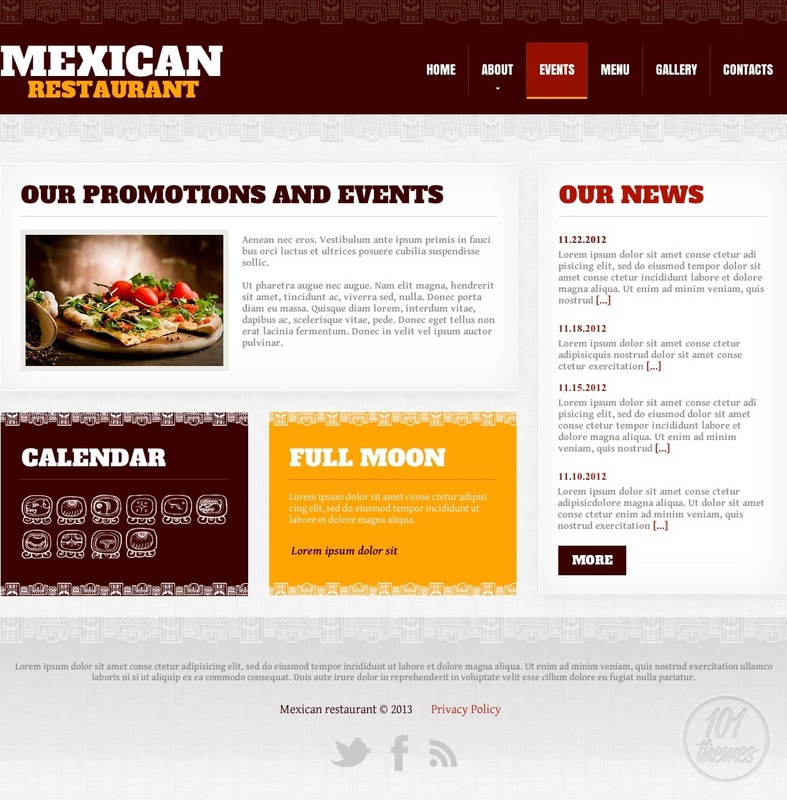 There are enough sections included for you to properly present your business online, including about, events, menu, gallery and contacts. 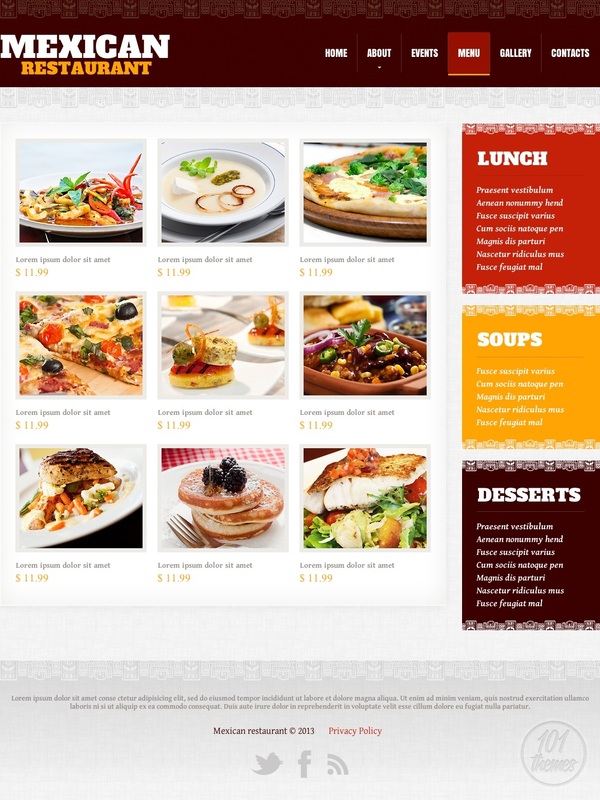 The menu looks fantastic and you will be able to nicely categorize it and also add a photo for each meal along with a description and price. 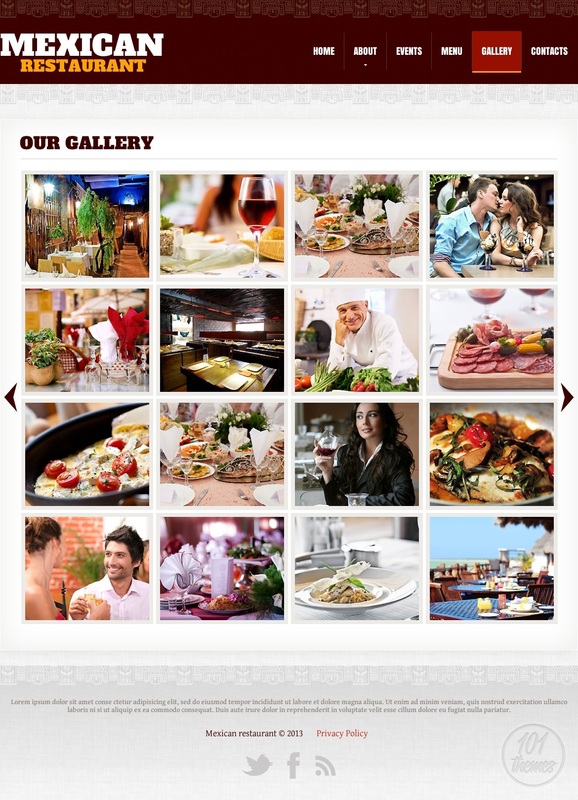 The gallery lets you add many nice photos of your delicacies or your restaurant’s ambient. 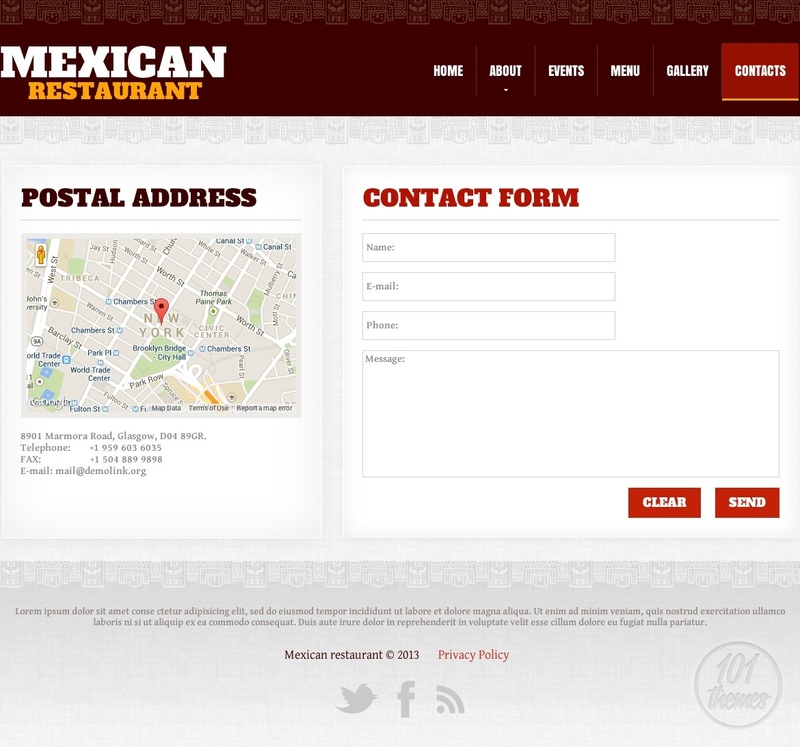 The contact section of the Mexican Restaurant template includes a simple contact form and Google Maps integration, which is going to show a map with your restaurant’s location pinned on it.